The Orca in the Room Nobody Talks About! Topic: The Orca in the Room Nobody Talks About! I was reading an essay by George Szell which defended Schumann against the usual platitudes heard about the 4 symphonies: "muddy" orchestration, "piano works" dragged into an unnatural orchestral setting, etc. Szell begged to differ quite a bit, saying that a good conductor and orchestra simply had to work well together to make the symphonies sound good. He was against a Mahlerization of the works. I tend to agree with him: let Schumann be Schumann, and we should shoo any man trying to change the works! But this led to other questions: how important is the orchestration of a work to you as listener? If you really love a composition, can you separate out the orchestration and love the "essence" of the melodies, harmonies, counterpoint, or is the orchestration too much a part of that essence? If a work were orchestrated differently, (i.e. not in a worse way) would you still like it? E.G. : If Tchaikovsky or Rimsky-Korsakov re-orchestrated Beethoven's Fifth, would that make a difference to you? Would e.g. Reger's orchestral efforts take better flight if Ravel had punched up the manuscripts? Are there works you love, but wish the orchestration were somehow improved? OR...for those of you who think you could do it...which works would you like to orchestrate or re-orchestrate yourself? Re: The Orca in the Room Nobody Talks About! An orchestra of Berg's Piano Sonata would be pretty cool. The reason i don't like it much is that if the orchestra is playing it, it should be written directly for orchestra (which means having them in mind). It's better to practice composing an orchestral piece not for piano, but for orchestra first so it's more natural that way. I'm going to start out with a piece where I want it both ways! I don't think there's anything to be "mended" in Schumann's score of his Cello Concerto in A Minor, Opus 129. This does not at all interfere with my enjoyment of the coloration of Shostakovich's Opus 125 re-scoring of Schumann's orchestral accompaniment. The mischief-maker in me wants to propose a string orchestra arrangement of the Stravinsky Symphonies of Wind Instruments! There aren't many original orchestral compositions of great composers where I take issue with the orchestration. But on this topic, I am now inspired to go home and do some comparative listening of orchestrations of Mussorgsky. Having played the piano original, I have always had serious problems with the Ravel - just atmospherically copmletely on a different planet than Mussorgsky's original. I have Ashkenazy's and Stokowski's versions at home as well and will have to listen to them side by side. Shouldn't those be called orchestrations more appropriately? Horseshit. Some of the stuff Schumann did in the symphonies is fairly demanding and sometimes a little awkward to play, but his orchestration is excellent, a very unique sound world which a lot of people simply don't get because it is rather different from what many other composers did. 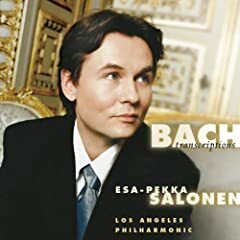 His symphonies can sound absolutely marvelous in the hands of interpreters who can realize that unique, very differentiated sound. He was basically decades ahead in some aspects of his orchestration. There are even elements in it that point forward to Debussy. You should listen to Barenboim/SB for a very "romantic", "full bodied" approach, Gardiner/ORR for a very lean, transparent and colorful sound, Sawallisch/SD is excellent, too, he allows the sound to unfold and bloom. I also rather liked Dohnanyi's Cleveland recordings. I heard them play the 1st symphony live. It sounded fantastic, very open and finely textured. Other really great readings are Harnoncourt/COE and Muti/WP which get great musical results in their very different way. Muti is very compact and classicist and achieves great transparency and finely tinted textures, while Harnoncourt's readings are very extrovert, bouncy, very lyrical and expressive - probably the most "romantic" readings I have heard - but very "early romantic", not "late romantic". BTW, whatever some people may have to criticze about the orchestration - and some even tampered rather massively with it, like Mahler did - the symphonies have been very popular for a long time. Many thanks for the responses so far! That the Berg Piano Sonata should come up so early is fascinating! I would envision a large post-post-Romantic orchestra, complete with 2 or 3 English horns and 2 or 3 alto and bass flutes getting a work-out. So hop to it, Greg! On the Moussorgsky Pictures I was amazed in a negative sense by the Stokowski version, but give us your opinion. Isn't there also a version by Shostakovich ? I have a memory that some critics called it "more Russian" (of course!) than the Ravel effort, but I might be mis-remembering. Alexander Nemtin brilliantly orchestrated things from Scriabin's late piano works for the Universe/Mysterium: Prefatory Action. Heresy? True or False: Beethoven's Ninth Symphony should be orchestrated to make it sound bigger, a la Schoenberg's Gurrelieder or Mahler's choral symphonies. Orchestration is simply the term for setting any music (your own or someone else's) for orchestral instruments. Thus any symphonic composer orchestrated his raw musical ideas by assigning different orchestral instruments to the various lines. More generally, not specific to orchestral music, this is called instrumentation. A transcription is taking a complete, existing piece of music and setting it for a different set of instruments than originally conceived. A transcription can be an orchestration when e.g. a Bach toccata or cantata is transcribed for orchestra. But it doesn't have to be: e.g. Brahms's transcription of the Bach Chaconne in D (originally solo violin) for piano left hand. I haven't listened to it in a while (I have the Knussen/Cleveland recording) but I recall being rather positively surprised. Stokie had a knack for Russian music. He understood the importance of bells. BTW, anyone seriously interested in the subject of orchestration should read Berlioz's (ed. R. Strauss) Treatise on Orchestration. No! It sounds too big as it is! We need a chamber orchestra reduction of the Opus 125! I like the Stokowski/Bach works, which is why my expectations for Stokowski's "Pictures" version were so high. On Richard Strauss: I read some years ago that he complained about conductors who "unmuddied" his orchestrations and brought the individual lines out. The "individual lines" were not supposed to be heard like in a chamber work, but were just supposed to be creating an (impressionistic?) atmosphere. I do not recall if Strauss was talking about a specific work, or just his oeuvre in general. Well, you can probably guess that I am voting...True! Although Karl's suggestion above is intriguing: but what would happen to the chorus? At the risk of being flamed, I'm going to admit that I love Mahler's arrangements of Schumann's symphonies, and espcially the way Chailly has handled them. That doesn't mean that I don't appreciate Schumann; to the contrary I love the original symphonies as well. It's just that Mahler really did some excellent work when he did those arrangements, and they can stand on their own merits. I have more problems with Mahler's Bach arrangements (and Stokowski's as well), but I'm not sure that isn't because of my own conservatism when it comes to Bach's music. I have gotten used to hearing it in one way, and can't tolerate much change. At the risk of being flamed, I'm going to admit that I love Mahler's arrangements of Schumann's symphonies, and espcially the way Chailly has handled them. That doesn't mean that I don't appreciate Schumann; to the contrary I love the original symphonies as well. Between you, and my Schumann Cello Concerto, I think we are in the same marina. That's what the topic is for. No fear, my dear! Speaking of Mahler: there is the issue of the unorchestrated movements of the Tenth Symphony. Which version(s) is/are preferable? It's almost impossible to separate the orchestration from the composition (unless it's one composer/arranger orchestrating another composer's work). I cannot imagine, for instance, anyone but Bruckner orchestrating Bruckner's symphonies. Rimsky-Korsakov said it best: "To orchestrate is to create, and that is something that cannot be taught." For a long time it was thought that certain composers, notably Mussorgsky and Bruckner, were geniuses who could not orchestrate well and had to be polished to be appreciated. But then the music world began to hear the original versions and realized that what passed for incompetence was actually boldness; the originals' "roughnesses" became more attractive than the polished revisions. There's still no satisfactory orchestration of Liszt's famous Hungarian Rhapsody No. 2. I can imagine a quite lovely one in my head, have it all mapped out, but with no knowledge of how to write it down I'll have to keep dreaming. What is unsatisfactory about the versions available? "Does the oboe/clarinet/bass flute/Wagner tube express this phrase/motif/melody in the best way?" Thousands of such decisions must be made by a composer: it is amazing anything makes it onto paper!